This report was submitted 1 week, 3 days ago. Check for fresh reports! Early morning ski which proved a little colder than I expected so was a little underdressed. Had to work hard to stay warm but that may be the last really cold night we have until fall! 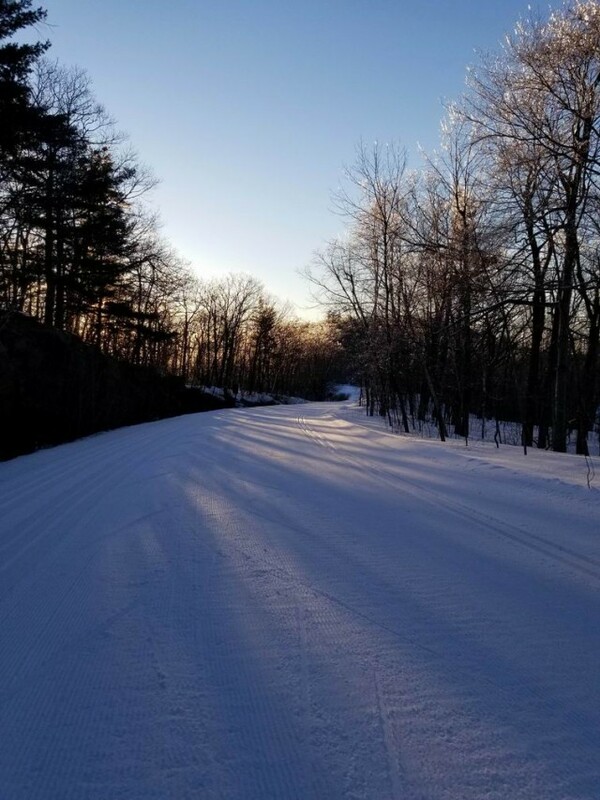 Fresh grooming was underway in various parts of the park but the parkways were all done when I started at 630. Fresh corduroy of corn snow over a firm base. The base was pretty icy in a few spots but still good coverage wherever I went. The groomers gave up grooming beyond the Huron lookout (or maybe that's just their weekday spring schedule?). That meant the trail was frozen ruts on an icy base before I regained 1 again. From there I skied out 1 until the lower part of the Wolf trail before returning. 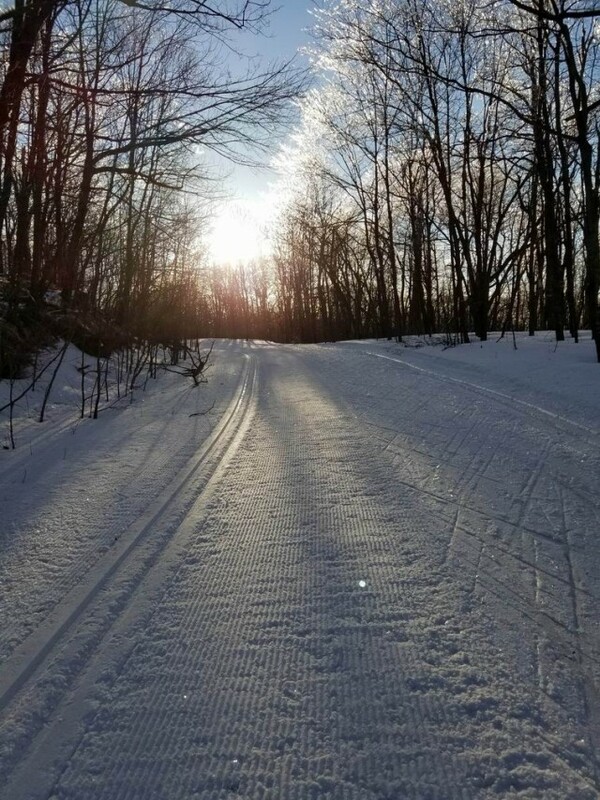 The groomer had headed out towards McKinstry and not yet returned so I had only half the trail freshly groomed. More than enough track for me to skate on. Again the base was pretty icy as I passed the bench between the two ends of 24... but no bare spots there yet. Quick visit to some of the bogs off Ridge road as I returned suggested there's still a little crust cruising to be had but some of the creeks are opening up so some care required to pick your line. Descending back down the Khyber pass the trail started to warm up in the sunshine which gave plenty of control on the fast descent. Parking lot was half full when I left around 8. Should be quite a nice weekend for skiing!